HEXTRIS is a fast paced puzzle game inspired by Tetris. Blocks start on the edges of the screen, and fall towards the inner blue hexagon. The objective of the game is to prevent the blocks from stacking outside the area of the grey hexagon. To do this, you must rotate the hexagon to manage different stacks of blocks on each face. Aim to connect 3 or more blocks of the same color: when 3 or more blocks of the same color touch each other, they are destroyed, and the blocks above them slide down! Destroying multiple series of blocks grants combos, whose durations are indicated by a quickly receding outline around the outer, grey hexagon. You lose once blocks on a face of the hexagon stack outside of the outer hexagon! 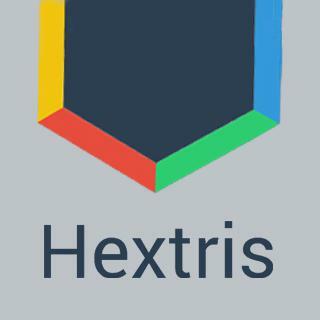 Hextris - Find Hextris in our vast HTML5 games catalogue. Only the best and newest HTML5 games for all audiences. Guaranteed success with Famobi.